Today’s deals roundup is for those who are always on the lookout for gadgets like gamepads, gaming headset, wireless mouse and more. 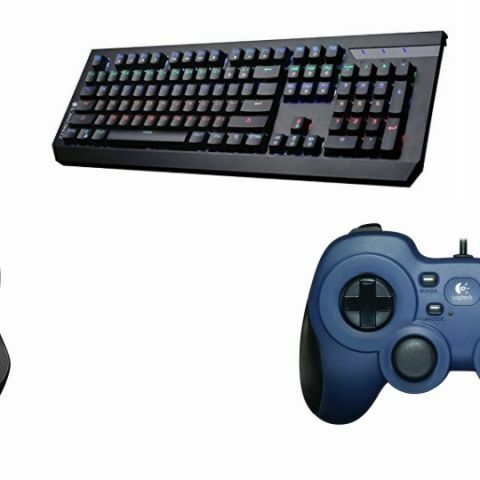 We have found some deals on gaming accessories on Paytm Mall which includes products like keyboards, mice, gamepads and more. In the list below, you will find products from the brands like Logitech, Zebronics, and more. The Logitech F310 Gamepad comes with eight programmable D-pad with four switches D-pad as well. The controller is compatible with Windows and requires a software installation for customization. Click here to buy. The Sades SA708 Gaming Headset features passive noise reduction, which reduces outside noise for a better gaming experience. The headphone features 40mm drivers and weighs around 445g. Click here to buy. The Dragon War GK-1 is a water-resistant gaming keyboard that comes with a gold-plated USB connector. The keyboard consists of multimedia and function keys. The manufacturer is also providing one year warranty under which physical damage is not covered. Click here to buy. The Zebronics MaxPlus is a full-size gaming keyboard. It features RGB lighting and users can adjust the lighting mode as per their preference. It is a wired device which comes with a 1.8m long cable. Click here to buy.